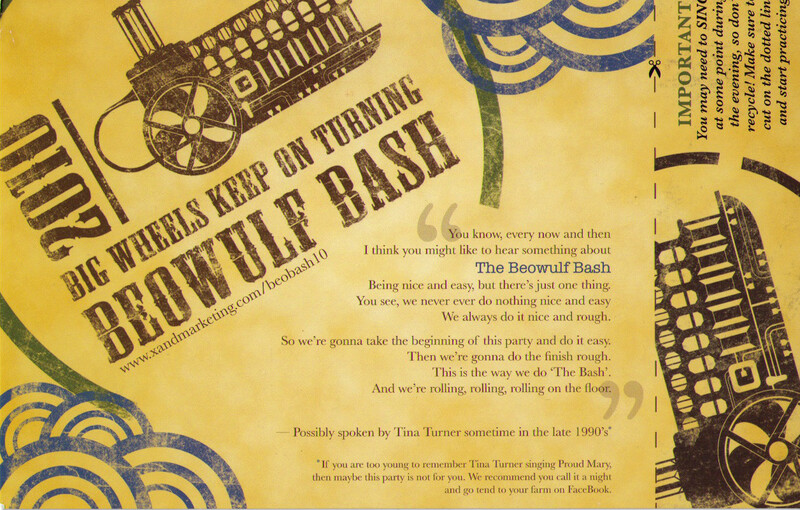 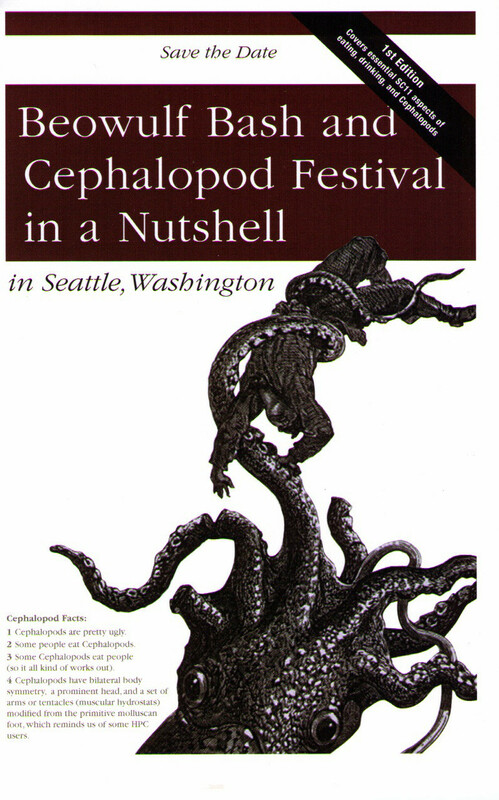 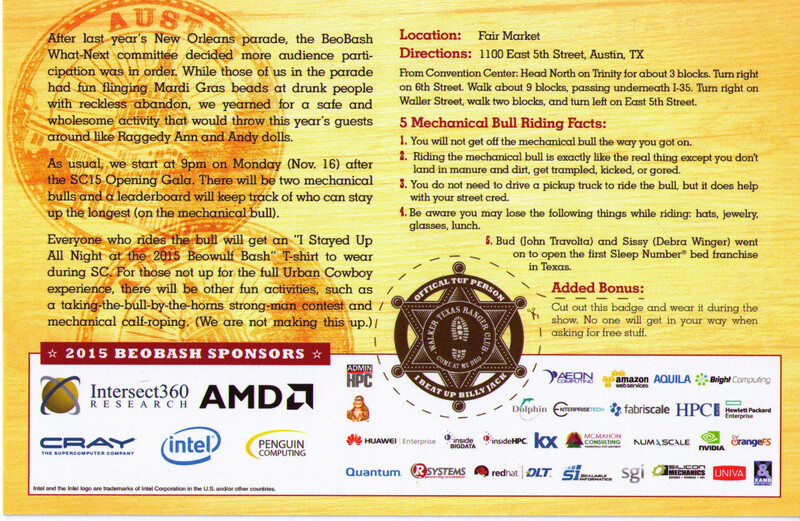 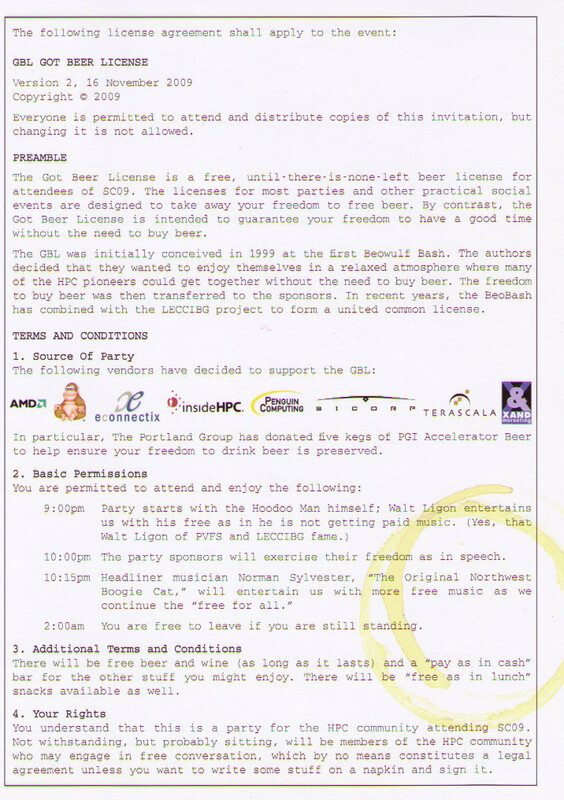 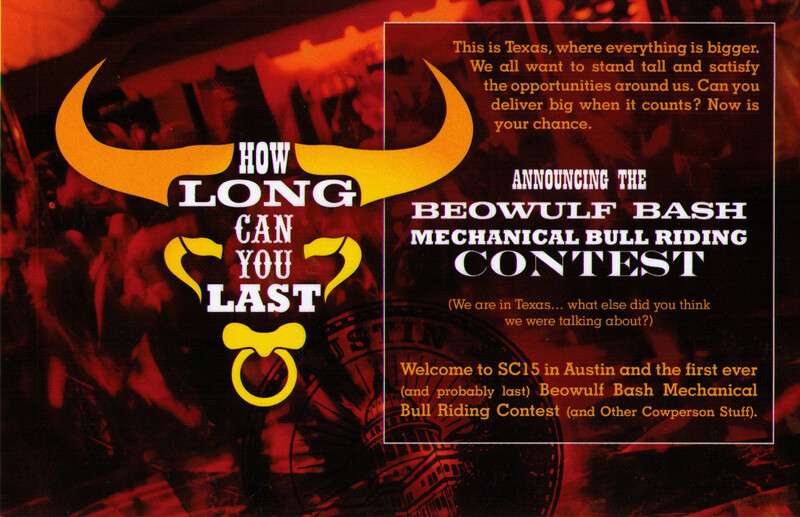 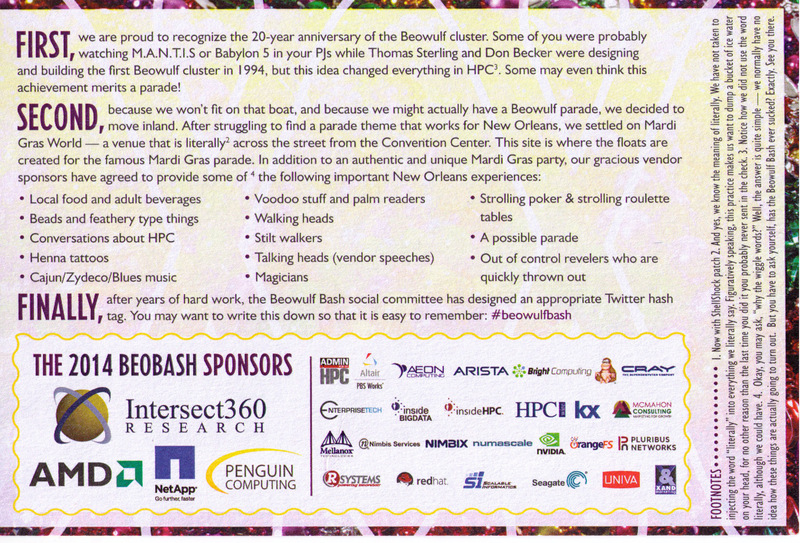 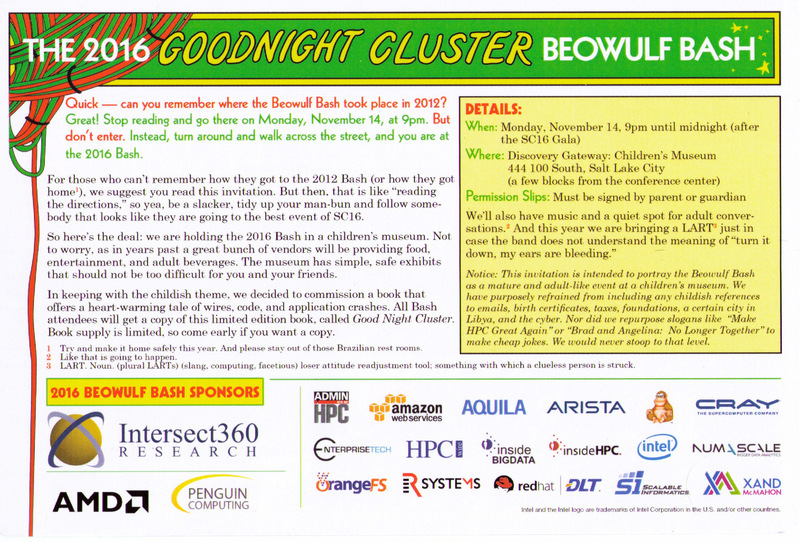 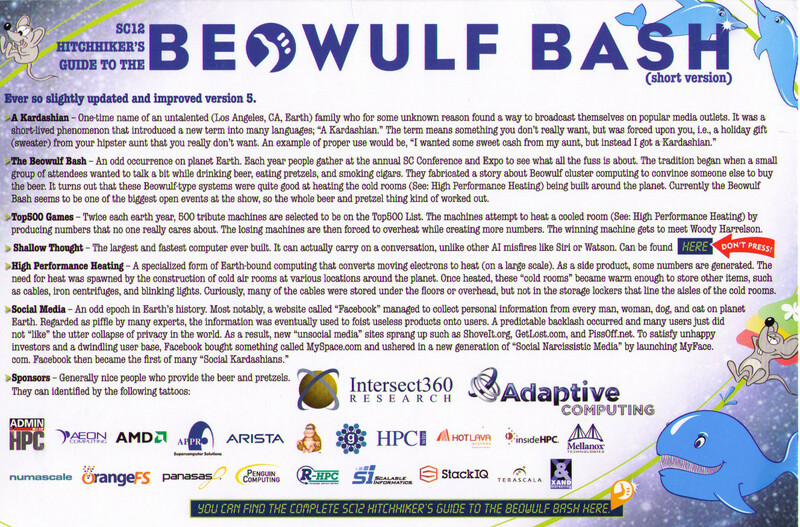 The following are the Beowulf Bash (#BeowulfBash) Invitations going back to 2008. 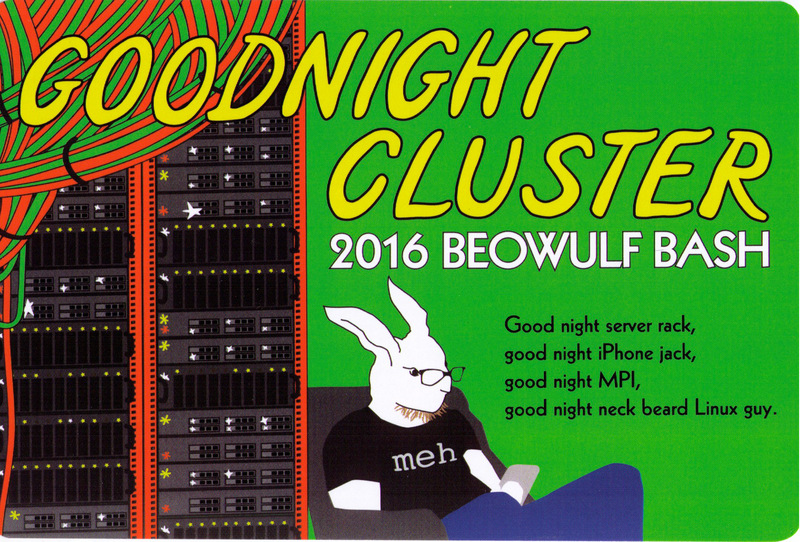 We included the 2007 LECCIBIG because it was a fun time, if we remember correctly. 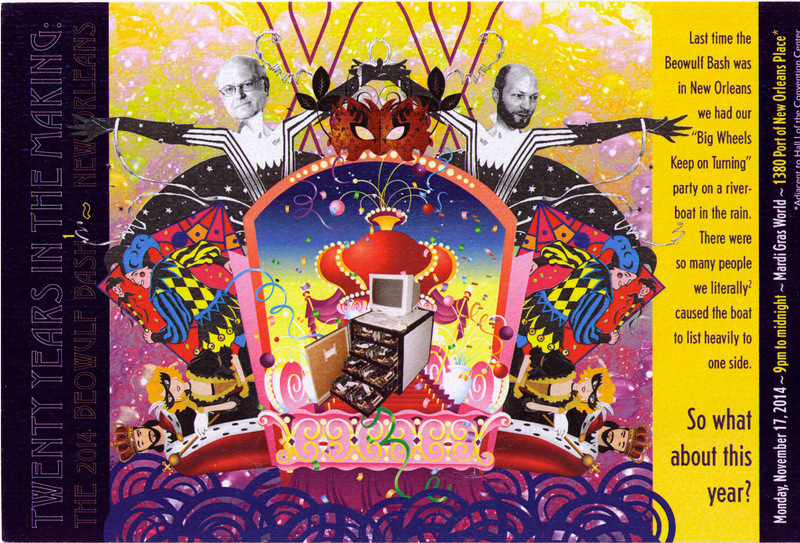 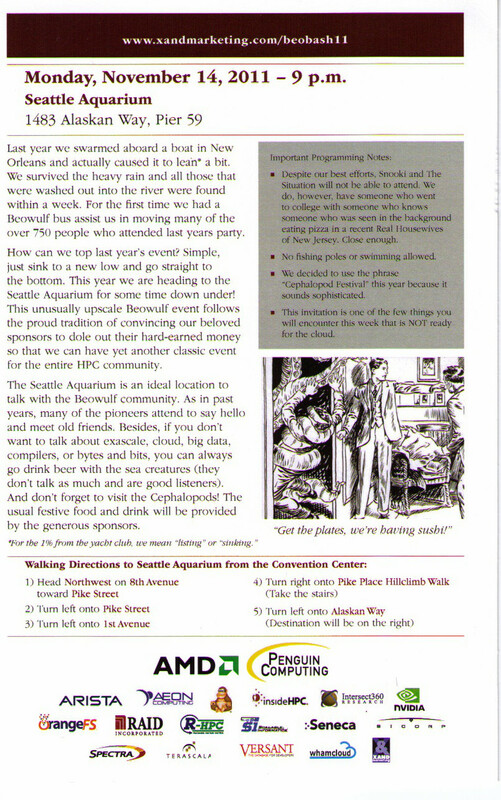 Also includes a link to the web page (starting in 2010). 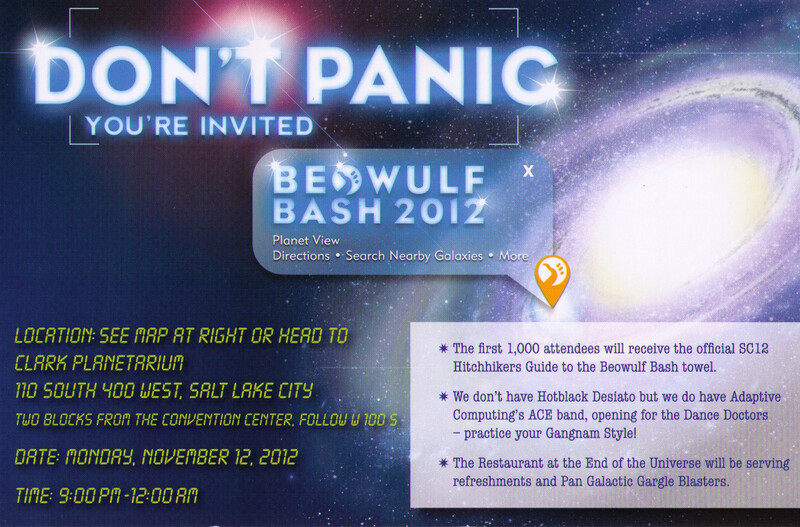 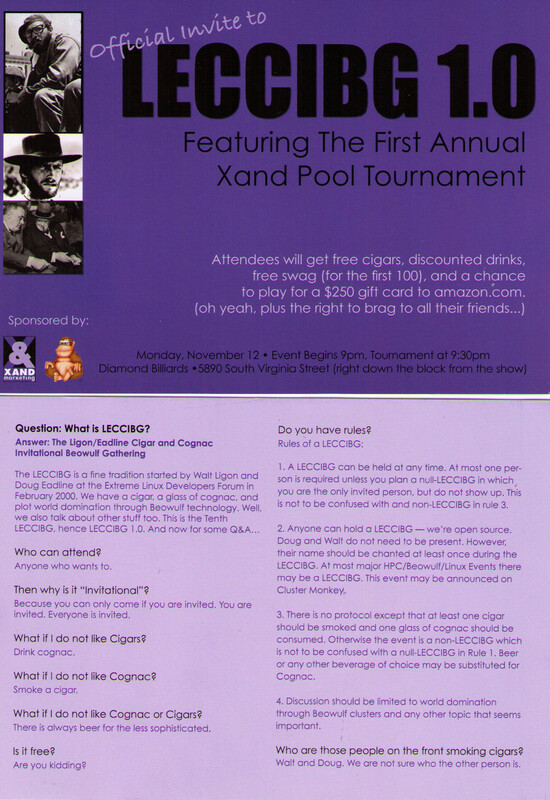 Click on any invitation to see a larger image and read the witty text! 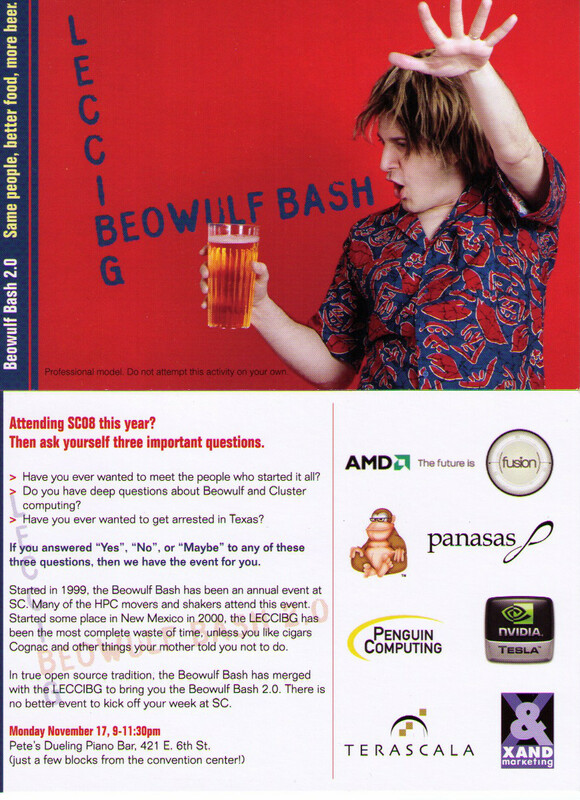 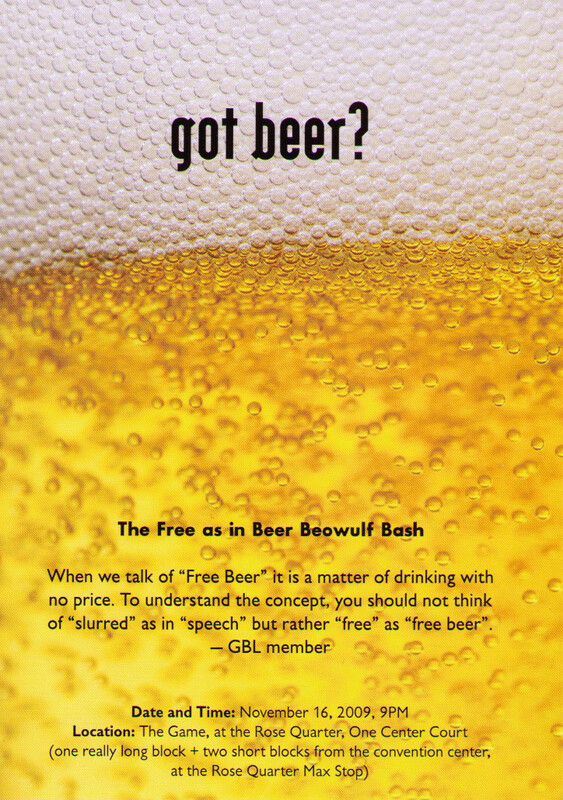 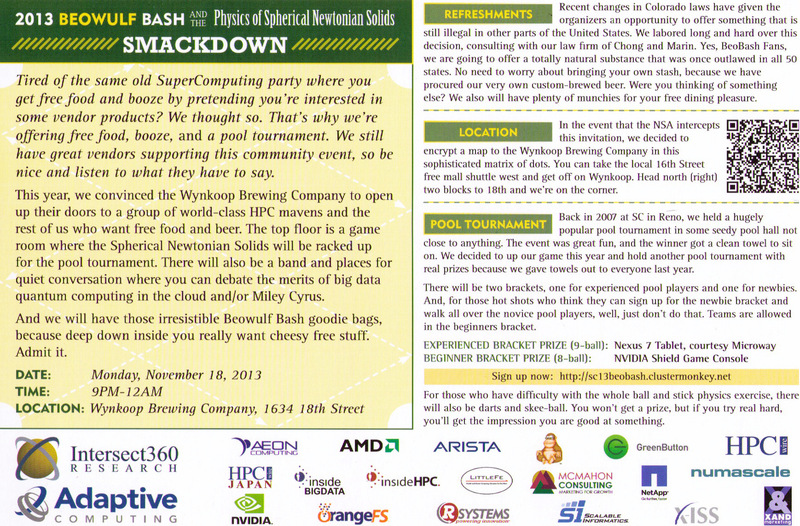 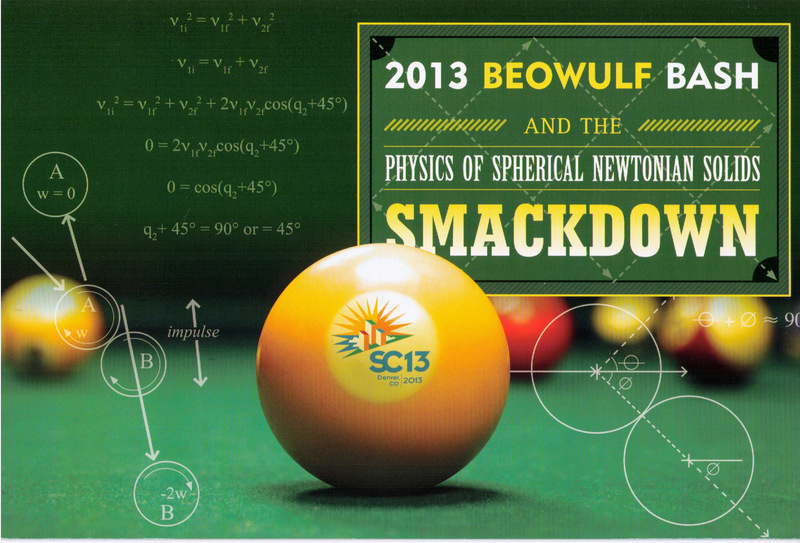 And don't for get to attend the SC 2017 Beowulf Bash!.